First, a word from our sponsors: I wanted to say thank you to everyone who contributed to our Indiegogo campaign for 15 Conversations in 10 Minutes. We did very well due to you folks. For those who weren’t able to give, keep us in your thoughts. And if you are able to contribute in the future, contact me and I’ll tell you how. I will even honor the perks on the original campaign. I am now offering a new consultation service: so much emphasis has been given lately to the importance of the opening of your screenplay, I now offer coverage for the first twenty pages at the cost of $20.00. For those who don’t want to have full coverage on their screenplay at this time, but want to know how well their script is working with the opening pages, this is perfect for you. I’ll help you not lose the reader on page one. Andrzej Wajda is one of the great Polish filmmakers of our time. He gained international recognition starting in 1955 with the films A Generation, Kanal and Ashes and Diamonds, a trilogy that take place after WWII and Russia has become the occupying force. We now have his final film Afterimage, co-written with Andrzeg Mularczyk (they also collaborated on Wajda’s penultimate film Katyn). It’s the story of an artist in 1950’s Poland who is the country’s most famous practitioner of abstract art, Wladyslaw Strzeminski. He’s also the most popular art teacher in his college-he’s the kind of lecturer that is also attended by non-students and tends to be standing room only. But the times are not on his side. Communism has declared that non-representational art is decadent, Capitalistic propaganda, and only social realism is acceptable. And so we watch as little by little Strzeminski is targeted by the government as someone to be removed. He is fired from his school; he is thrown out of the artist guild; his paintings are destroyed and a museum is forced to remove an exhibit of his and his ex-wife’s abstracts. Finally he is deprived of any possibility of getting work and forbidden food coupons. As one character put it, the best thing he can do is be hit by a tram. It’s a difficult story to watch. But a moving and important one as well. The movie in many ways is a tribute to artists who don’t give in, but stay true to their view no matter how persecuted they become. It’s an interesting story coming from Wajda, who, for whatever reasons, was always able to stay afloat through the changing times, making films that did not bring down the wrath of the authorities upon him. He was even able to pivot quite remarkably when Communism and the Wall fell and Poland fought for independence. He made a sequel to his film Man of Marble, about a Communist folk hero bricklayer, called Man of Iron, who becomes involved in the soft revolution. Afterimage means an image that remains after the object being viewed disappears. It’s an odd optometric phenomena. But it is meaningful metaphor since the story is about an artist whose works will live on after the artist, himself, is gone. 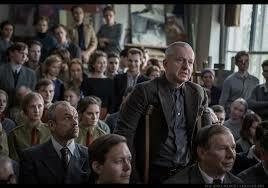 The movie is a powerful and moving end to Wajda’s career who has created a number of afterimages himself over the year. With Boguslaw Linda giving a strong and empathetic performance in the lead. 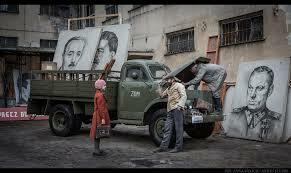 Poland’s official submission for Best Foreign Language Film at the 89th Academy Awards. 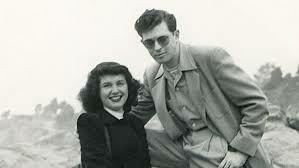 Harold and Lillian: A Hollywood Love Story is truth in advertising. Though the film fully explores the contribution of each to film history, what is always at the forefront in how these two loved each other resulting in a marriage that lasted sixty years (a time period equal to some Hollywood figures’ five or six marriages). Harold Michelson became a story board artist when he moved to Los Angeles in 1947, not because he was looking to work for the studios, it just happened to work out that way. He soon became sought after by directors as varying as DeMille (The Ten Commandments), Wyler (Ben-Hurt), Kubrick (Spartacus) and Hitchcock (The Birds and Marnie). He eventually became a production designer earning two Academy Award nominations. One of the more intriguing tidbits of information here is that the storyboards were often not shown publicly or outside those who had a need to know. The reason is that those in charge didn’t want the audience to think that anyone other than the director was responsible for the look of the film. And Harold was responsible for the look of an incredibly large number of films. At one point, he shares a series of drawings for the Birds, storyboarding the attack on the gas station in which his edit of the scene (including cutting back and forth between Tippie Hedren and the action) was used almost shot by shot by Hitchcock. He also seemed to come up with the iconic scene of Benjamin being seen through Mrs. Robinson’s leg and the shape of the helmets in Spaceballs (it’s called Spaceballs so shouldn’t the helmets suggest it?). As Harold’s stature rose, Lillian needed something outside the home to do. So she eventually volunteered at one of the studio’s research libraries. 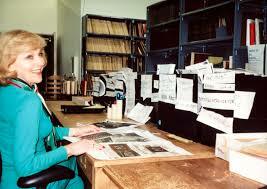 She eventually inherited the library and became the go to person for historical research for films. Probably working in the same business and not spending too much time apart is one of the major reasons as to why their relationship lasted as long as it did. That and Harold’s wonderful sense of humor (he would create specialty cards for almost any occasion with clever drawings and witty rhymes). How can you divorce anyone as devoted as that? Written and directed by Daniel Raim. LOGLINES AND TITLES AND BEARS, OH MY! SUCH STUFF I AM. A NOVEL. EARLIERLY WRITTEN POSTS HAVE BEEN REMOVED TO BE PUBLISHED IN E-BOOK FORM. MORE INFORMATION IS IN THIS POST.